Maggie (Gerwig) decides to become a single mother and inseminates herself with the help of her former college friend, Guy (Fimmel). Her meticulously planned transaction is turned upside down when she meets an anthropologist named John (Hawke), whose marriage to Georgette (Moore), a university professor, is falling apart. She falls in love and marries him, destroying his former marriage in the process. 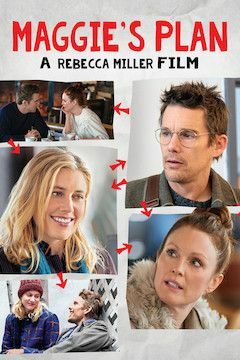 A few years later, as she realizes she’s falling out of love with John, Maggie concocts a plan to reunite him with his ex-wife and make them fall in love again.